5. 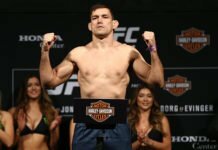 Bellator’s big moves keep coming, the UFC is still trying to ruin their best possible fight, and GSP and Bisping have been hurt the whole time. Huh? Finding the proper response to much of the news finding its way into our social media feeds is becoming a tougher task every day. Nothing is surprising, and there’s always more to the story. Leaving us with one reply: “huh?”. 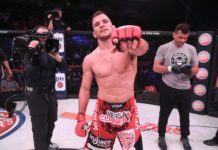 Last week, Bellator decided to make the move to the big screen while the UFC officially canceled the best fight possible in the promotion. Meanwhile, Georges St. Pierre hasn’t been completely healthy for months, and according to the former welterweight champion, the UFC has known the entire time. The reason “huh?”, in its various forms, is such a quality reply is simple. The word is as versatile as a response gets, and while it may require some explanation, “huh?” is sometimes the only way to react to the news of today. Defined by Merriam-Webster as an interjection that’s “used to express surprise, disbelief, or confusion, or as an inquiry inviting affirmative reply”, “huh” or “huh?” can mean a lot of different things. Despite some of the follies of human evolution (see: Jared Kushner), the development and growth of “huh” is something we should embrace. To be the change we want to see in the world, here are a few MMA stories last week that made us go “huh?”. People may not be interested in paying $49.99 for Bellator’s upcoming pay-per-view event at Madison Square Garden next month, but the promotion is betting they’ll be willing to pay a bit less to see the card on the Big Screen. At select theaters, which you can find and locate here, fans will be able to purchase tickets in order to watch the card from a local movie theater. Huh. At first, it sounds a little funny. And we’re curious as to the kind of numbers theaters would have to pull in order to want to continue such a relationship with an MMA promotion. And the types of MMA fans interested in such a viewing experience. After those questions though, we like the move. Unlike the UFC, Bellator isn’t synonymous with MMA PPVs, and getting fans to pay similar amounts for a product widely perceived as inferior is a tough sell. 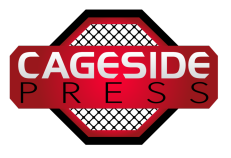 It’s not our perfect idea of an MMA viewing experience, but for families, or fans looking for a new way to enjoy MMA, it’s an interesting enough for us to pay attention to. Tickets at a local theater were $15.75 before taxes and fees, which after some popcorn and soda, gets surprisingly close to the initial cost of the Bellator NYC PPV. But, the potential atmosphere with fellow fans and friends, without having to host, is appealing. 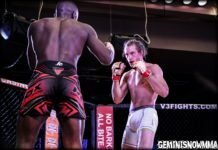 The move is joined by a major partnership with Monster Energy, with bouts featuring at NASAR races throughout 2017, as well as several major fighter signings this year. 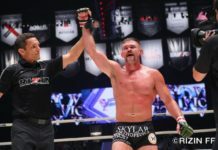 The list continues to grow, both literally and metaphorically, with Roy “Big Country” Nelson becoming the latest UFC fan-favorite to make the switch to Bellator MMA. They’ll need these moves to be more successful than their poorly rated and tape delayed Bellator 179 card in London. 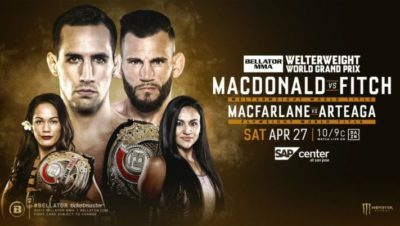 While it was a successful debut for new fighter Rory MacDonald, the ratings were less than stellar. That said, with intriguing moves and a willingness to try new things like movie screenings for PPV events, we may be in store for a different Bellator in the future than the “little brother” promotion we’re used to. 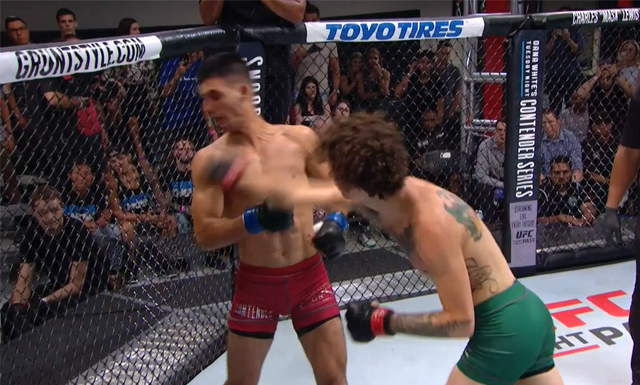 We asked the UFC to keep their hands off last week. It didn’t work. Coordinating a couple of major moves, the promotion removed Garbrandt-Dillashaw from UFC 213 in July, and replaced the bantamweight title-bout with a fight for the interim middleweight title between Yoel Romero and Robert Whittaker. Huh. As had been expected for weeks, Garbrandt’s recovery from back problems will keep him from fighting for at least an additional four weeks. 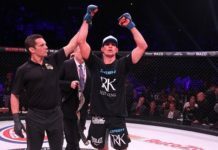 Considering the promotion’s troubles with International Fight Week main events over the last couple of years, they could hardly be blamed for making the move. Where the UFC falters, is in canceling the bout altogether. Garbrandt and Dillashaw are two of the best bantamweights in the world, and a couple of the pound-for-pound best fighters in the UFC. 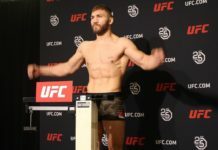 These two, along with the third wheel known as Dominick Cruz, and the rest of the incredibly talented 135-pound division, are primed for dozens of high-quality matchups. Waiting an extra month or two for a bout of this magnitude should be an easy decision. Especially considering the messy situations around titles in several divsions. Creating more uncertainty in these situations is the last thing the UFC needs right now. Despite that, the UFC and Dillashaw are shooting for a flyweight title fight between Demetrious Johnson and the former bantamweight champion. Johnson is less interested, under the current circumstances, and rightly so. A bout between DJ and Dillashaw is something every fight fan can get behind. 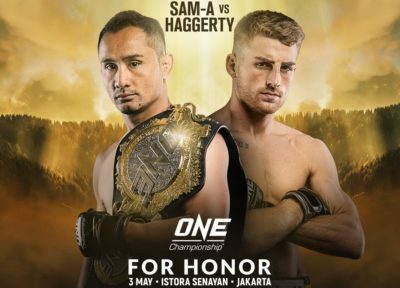 Two of the top fighters in the promotion battling for a belt is exactly what the UFC is here for. 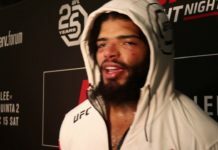 But, hurriedly creating that fight while Garbrandt is momentarily shelved, for a forced matchup that doesn’t make a lot of sense, is a mistake we hope the UFC isn’t able to make. No potential bout buildup has reached the level of annoyance that many fans have found themselves at like the still to-be-announced Conor McGregor and Floyd Mayweather boxing match. Joining the rankings earlier this year is the saga between UFC middlweight champion Michael Bisping and Georges St. Pierre. Announced in March, without a date, the bout has fizzled faster than Germaine de Randamie’s featherweight title reign. There was talk of International Fight Week, and UFC 216 in Canada. But the more Bisping, GSP, or the UFC discussed the fight, the more it was clear the parties weren’t *cough* seeing eye-to-eye *cough*. Just how much was made evident last Friday, at the C2 Montréal conference, when St. Pierre revealed an eye injury would keep him from sparring until September. Not only that, but the UFC knew about it all along. Huh? While it was pretty evident the UFC and Bisping were pressuring GSP into a fight this summer, the fact that St. Pierre felt the need to come out and address the issue, even after the cancellation of the bout, says something. His relationship with the UFC got fixed enough to get a deal done, but this is about as rough a start as either side could’ve imagined. 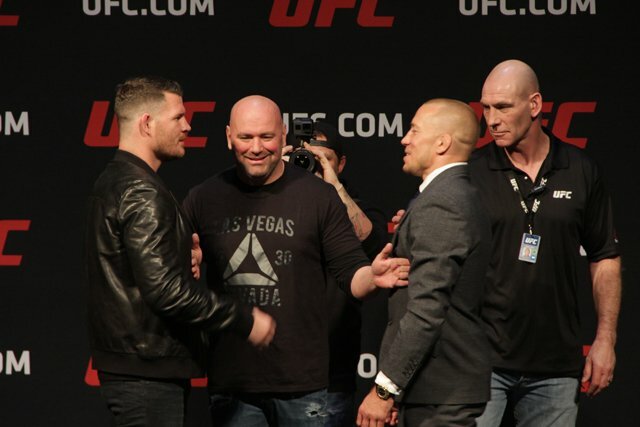 Here’s hoping Bisping and GSP can go their separate ways, and the UFC can get back to promoting bouts that can actually happen. We’re applauding the ingenuity and efforts of Bellator yet again, while wondering what the UFC is thinking. How big of an impact the silver screen will have on Bellator’s NYC numbers will be interesting to watch, as will what happens with T.J. Dillashaw and his title-contender status. Hopefully GSP gets his eye sorted out soon, so he can watch all the fun too, and then return to the Octagon when he’s 100% (sometime in July of 2019).